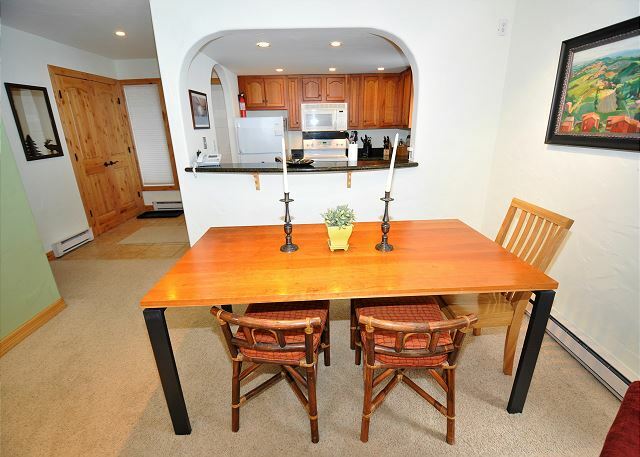 Cute 2 Bedroom East Vail Condo #1202 w/ Hot Tub and Shuttle. 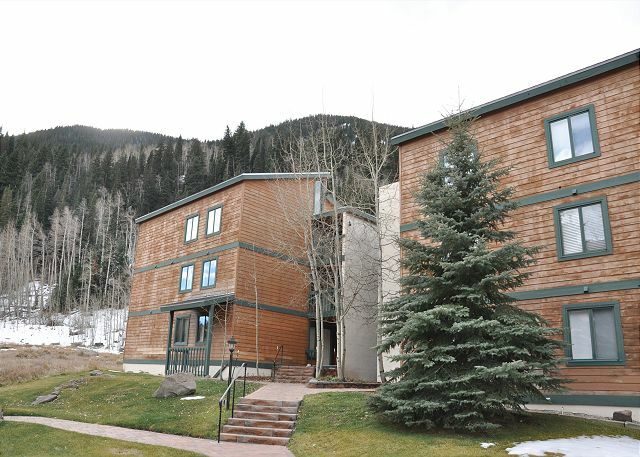 Managed by Gore Creek Properties, this is a lovely 2 bedroom, 2 bathroom condo in East Vail on the Gore Creek. 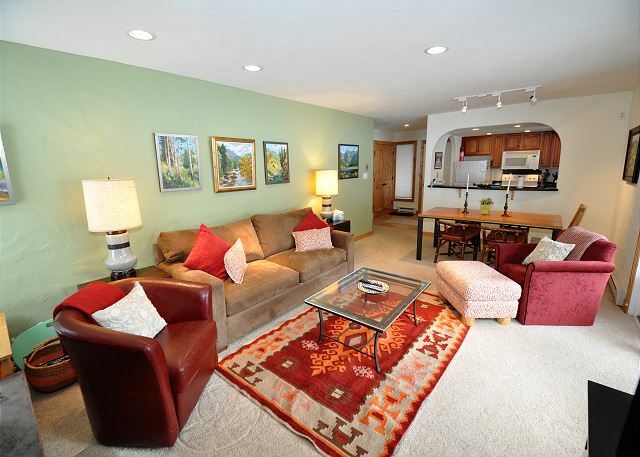 It has 1100 square feet of living space, and it is only 5 miles from Vail village. 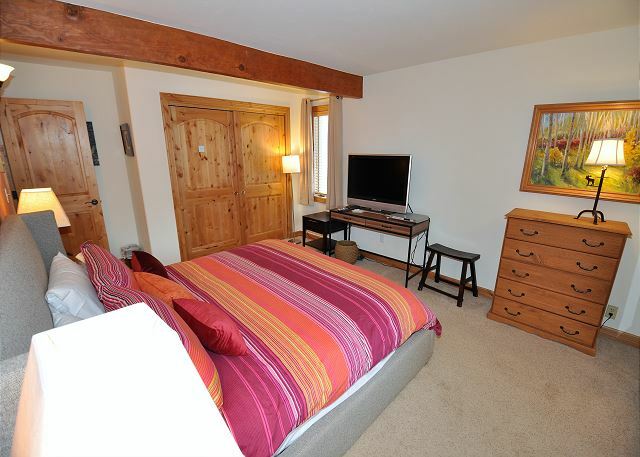 It is gold rated and can accommodate up to 6 people. 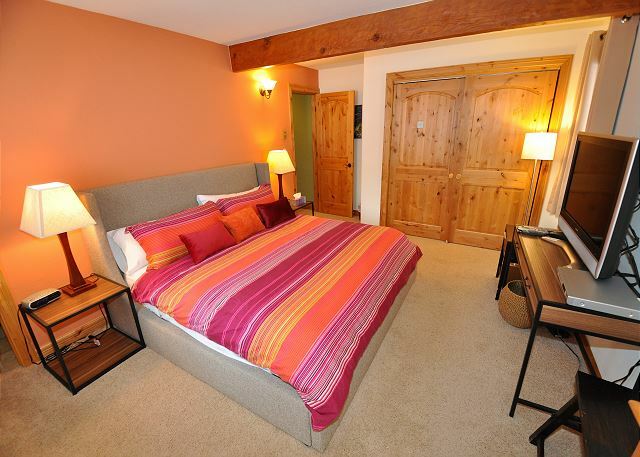 The bedding is a king bed in one bedroom and 2 twin beds in the other bedroom. 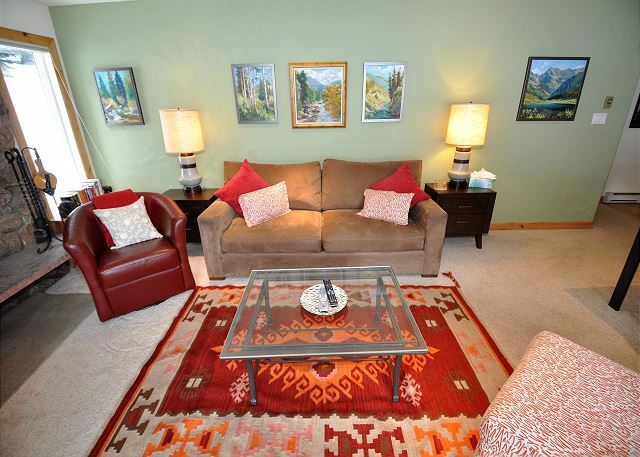 There is also a sleeper sofa in the living area. 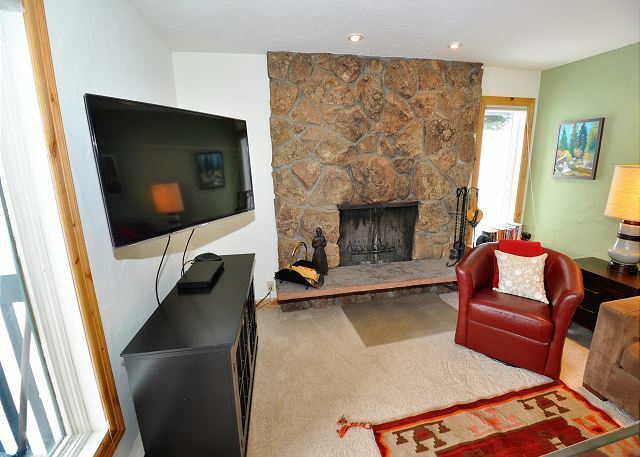 The condo is fully furnished and all towels, linen and firewood for the fireplace will be supplied in the winter. 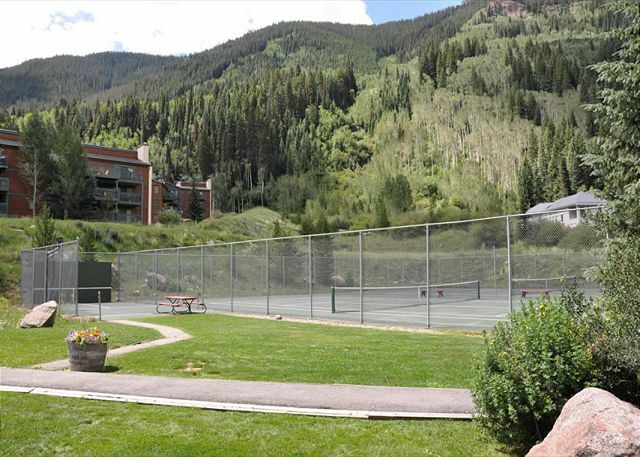 The free ski bus stop for Vail village is mere steps away, and the bus runs every 15 minutes during ski season. 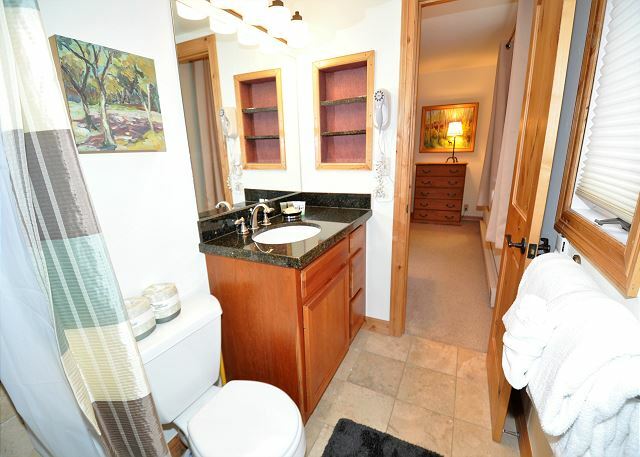 It has hot tub access within the building. There is also free wifi in the unit. This property does not allow any pets and is NON SMOKING. 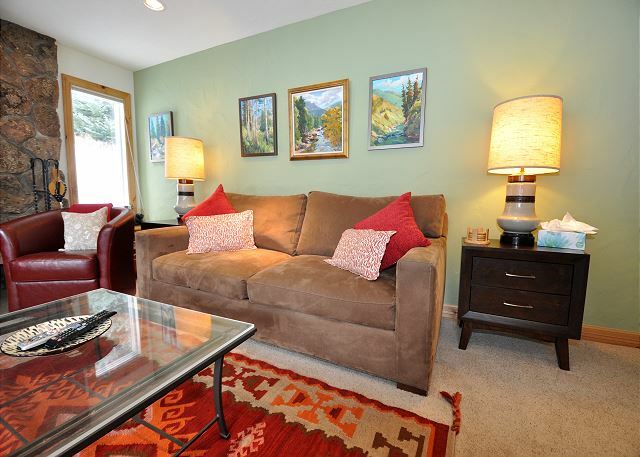 A lovely, comfortable home to return to after a hard day on the slopes! 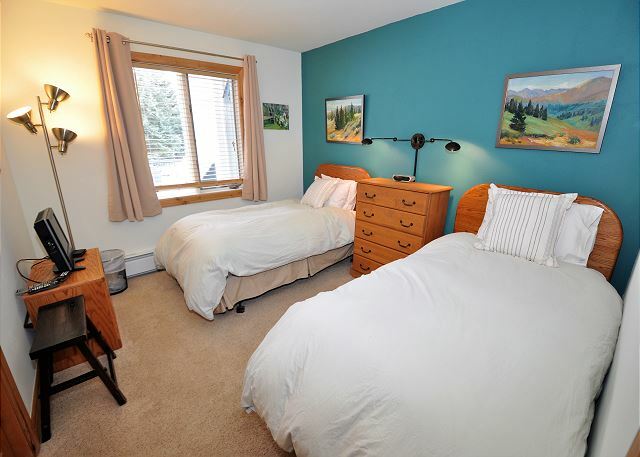 very clean comfortable condo at good price,easy access,well aquipped unit! needed another comfortable chair in living room and dining chairs were funky-but overall very good!! Great stay. We loved it. Everything was great. The only recommendation I have is to move the wood pile so the logs don't get wet from snow melting above. We have stayed in a number of Timber Falls Condos the last few years. All have been very good. The location of 1202 is perfect; no hill to walk up. 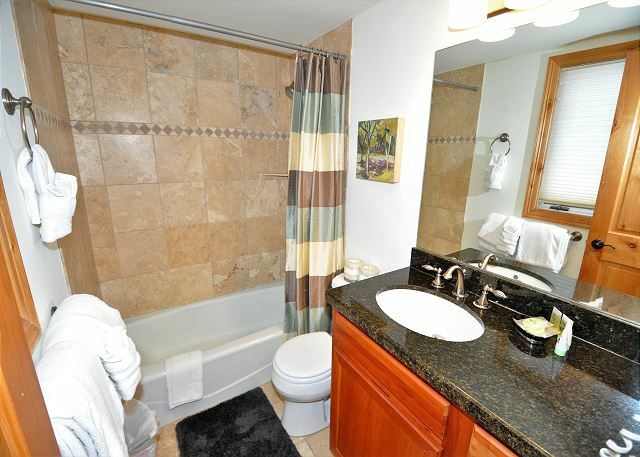 The Jacuzzi location is very convenient right outside the door. We found the condo spacious and not cluttered with too much furniture or to many closets/cabnets reserved for owners belongings. We plan to rent again. 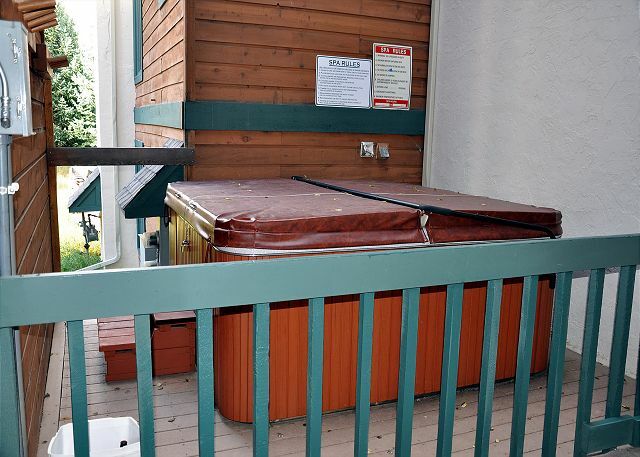 The unit was right next to the hot tub, a real plus, tho we couldn't use the hot tub 2 nights as the temp dropped below "hot" disappointing. 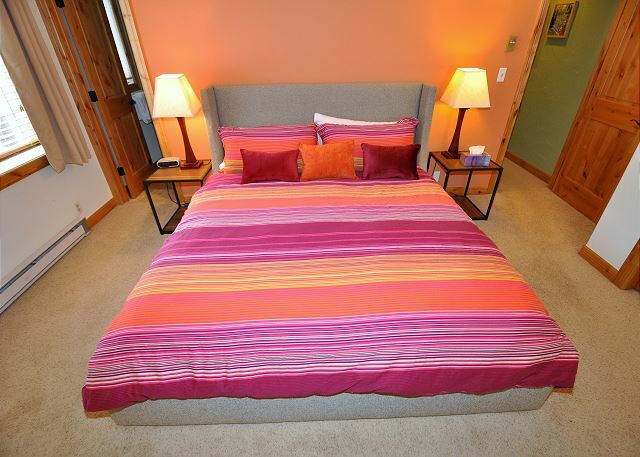 the condo was very nice, tho one of the single beds has a dip in the mattress, should be replaced. the king size bed in the master was very comfortable. 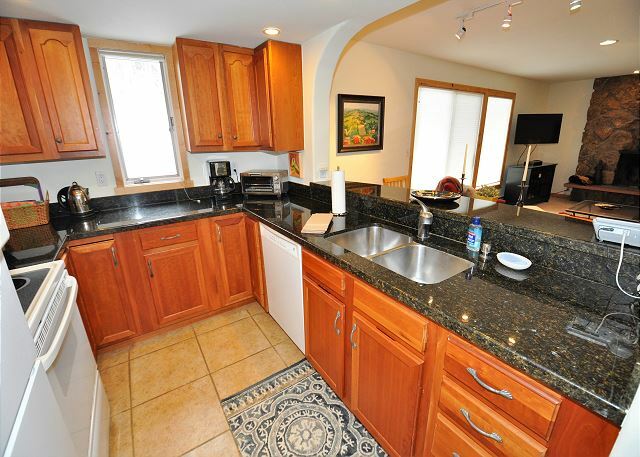 Heated floors in the baths & kitchen , lovely. Kitchen well supplied. I would stay here again, good location easy drive to skiing. 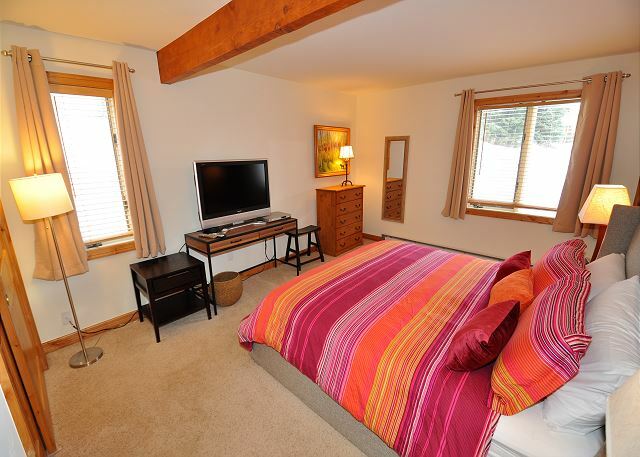 Perfect stay in East Vail. The shuttle was a couple steps away and was on time to take us to the mountain every morning, and bring us back to the condo. The hot tub was right outside our front door, which was nice. There was a back porch with a pretty view and the condo itself had everything we needed. Previous renters had left dish soap, laundry soap, dry goods, etc. so we didn't even have to buy too much at the grocery store. I would stay here again in a heartbeat! We had a great time, the place was perfect! Love the Proximity to the Shuttle! Really enjoyed this condo. The shuttle stop is just through the parking lot - great for walking in ski boots. 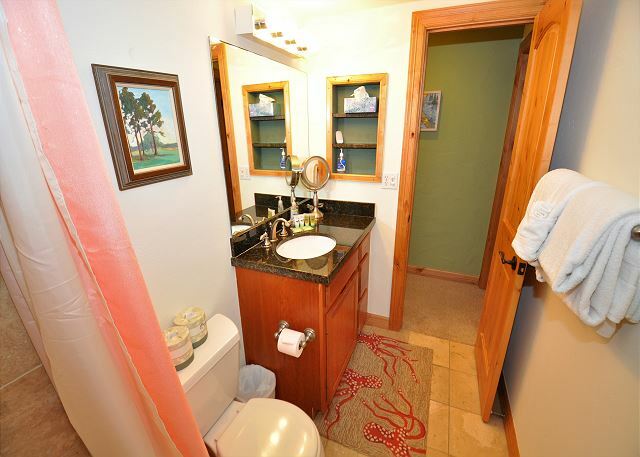 I loved that the unit is on the first floor even though there are a few steps up from the parking lot. Well maintained, clean, and loved the owner's art work. I would definitely stay at this rental again!